Bisley brown webbing and leather. 2 inch / 50mm wide, with tampered leather ends down to 7/8 inch / 22mm to fit swivels. With brass fixing pins and buckle for adjusting length. Adjusts from 22 to 39 inches (56 to 99cm) long. Weighs approx ~ 125 grams. 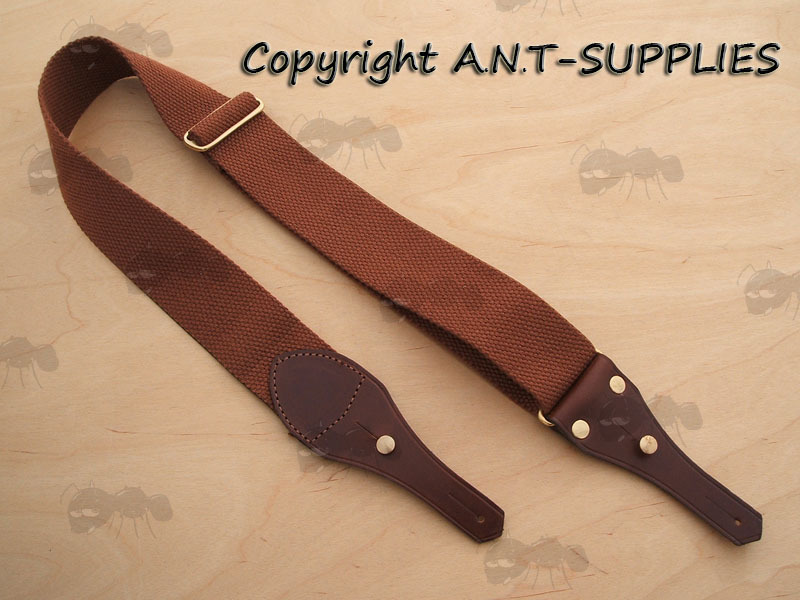 Beautifully made broad English canvas sling with finest oiled brown leather and brass fittings that will fit all rifles or shotguns fitted with standard swivels. 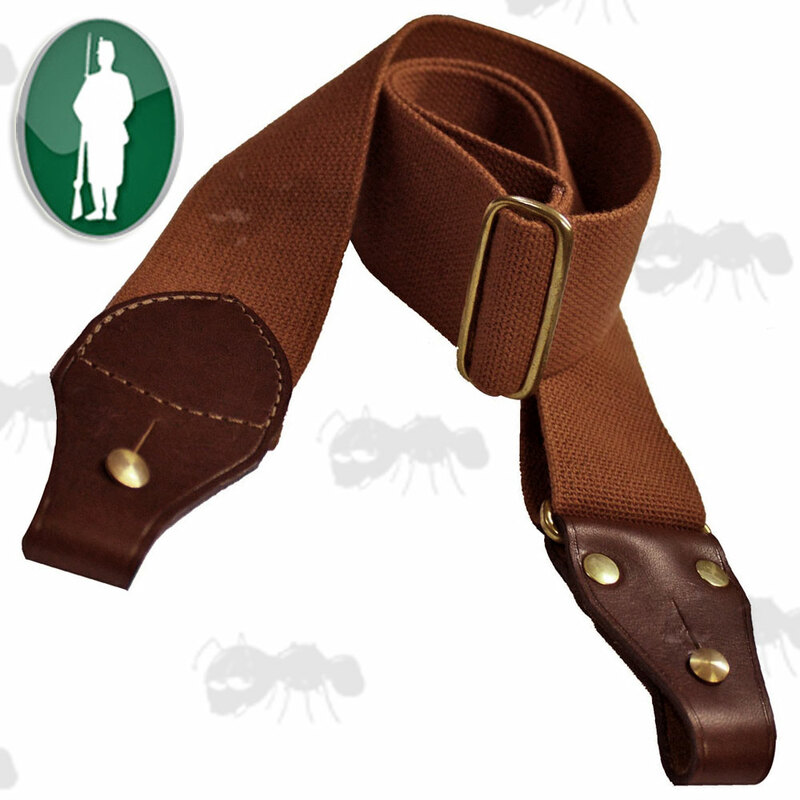 This is a brilliant rifle sling, the canvas strap is wide and tough, but not stiff like some leather straps can be. The Leather end tabs are strong and thick and really add to the classy look. It looks great on a traditional wood stocked rifle. The quality far exceeds the price, and as the QD swivels are included for free at the moment, you cannot go wrong. I was a bit worried the free swivels would be poor quality ones, but they are really good - well made, strong and don't rattle! Overall I couldn't be more pleased with the sling and swivels and would thoroughly recommend them, and Ant-Supplies for the very quick delivery!